There has been a strange bright light in the sky today that was very worrying until I remembered what it is, SUNSHINE! And it lasted all day and it was quite nice and warm. It won’t last of course but it was lovely while it did.Tonight we get frost. Here is a picture of the houses behind where we live.In sunshine. And blue sky. Glad to see your posts again. We got into the habit of checking every evening and after two days of no-show started worrying. We also had a sighting of the sun here. And very welcome it was! 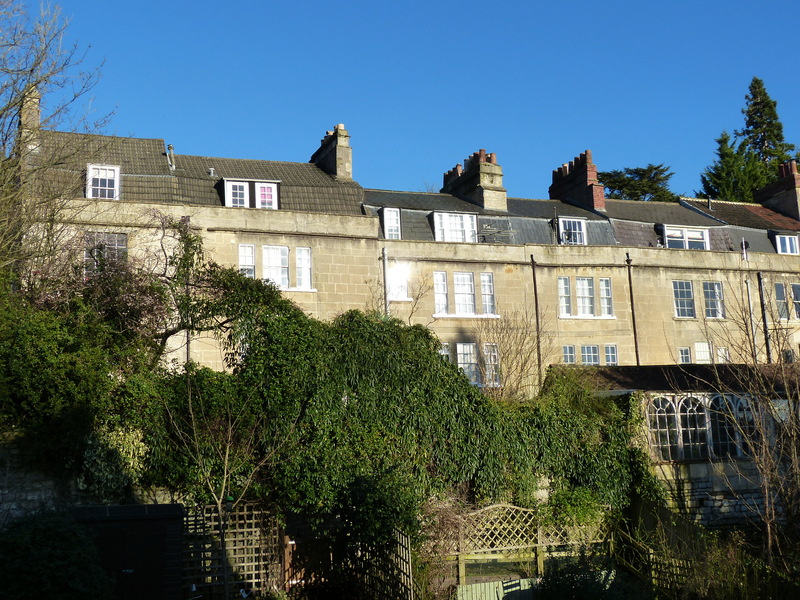 It was a lovely day in Bath yesterday – a bit of sunshine makes all the difference!